A 20-year veteran of the marketing and advertising industry, I founded Aquarius Designs in 2002 and never looked back. In our mission to raise our clients’ visibility, we’ve managed major website launches, developed integrated cross-media campaigns, and helped establish strong brand identities for high-profile corporations and small mom and pops. Over the years, I’ve been referred to as a “branding guru,” helping to build brand equity for clients across a wide variety of industries. Overseeing all creative work for a variety of clients, you’ll often find me grabbing a sketchpad to brainstorm with the team (or even talking to myself when an idea strikes!). It all started during my days at the School of Visual Arts in NYC where a double major in graphic design and advertising opened my eyes to the power of design and user interaction. From there, I honed my brand skills amid the internet “boom,” helping to design some of the first websites for Sony Music (welcome to the World Wide Web, Julio Iglesias and James Taylor!) and working my way up at one of the largest publishing houses, Meredith Publishing. There, I helped launch Meredith Interactive, one of the pioneers of bringing traditional media to the online world. At Aquarius, we see ourselves as “New Age marketers” with a deep understanding of how all media work together as a cohesive brand story—and an even deeper knowledge of how personalized service makes all the difference. We’re a small business with all the capabilities of the largest ad agencies, without the big price tag. It’s why our first client still relies on us today, and it’s why we see even bigger things for all of our clients tomorrow. Because we know we grow stronger together. Kelly Flinn has 20 years of experience that includes leading International product development and art teams from concept to production, wholesale sales, and visual product merchandising. Kelly has a BA in psychology from the University of Rhode Island. Kelly’s main duties at Aquarius Designs Inc. include project management for many of our clients. This includes managing client accounts for internet marketing services, website design & development, social media marketing campaigns. She works on training and managing client expectations with monthly reporting and analytics review. Kelly lives in New Jersey with her family. Kelly can be reached at kelly@aquariusdesignsinc.com. Born and bred in New Jersey, Ali graduated from the University of Rhode Island with a B.A. in Journalism. She then entered the world of marketing, lending her writing expertise to communications agencies like Virtual Network Solutions and Athena Marketing Group. She eventually turned to freelance copywriting, advancing such organizations as Century 21, Curves and New York-Presbyterian Hospital by penning progressive SEO web content, blogs and video scripts. Today, she brings her expertise in brand-building and marketing copy to Aquarius and our clients. Laura Lifshitz is a freelance writer, author, comedienne and public speaker whose previous claim to fame was as an MTV personality. ​After graduating from the TV world and Columbia University’s undergraduate writing program, Laura went on to write content and copy for numerous brands and sites, such as ToysRUs, Verizon, NYTimes, PopSugar, Women’s Health, BedBath &Beyond, Simon Property Group, Redbook and more. She’s only paused briefly to munch on chocolate and run after her daughter, who loves reading and using excessive exclamation points. Beth graduated from the Rhode Island School of Design in 2006 with a BFA in Graphic Design, and a concentration in textiles & pattern-making. Transplanted from the corporate design world of NYC, having worked with major companies such as Martha Stewart, Victoria’s Secret, Bath & Body Works, among others, she has worked with some of the leading companies in the fashion, publishing and branding world. She specializes in brand development, and the design and management of accompanying collateral: web design, print/publishing design, and social networking. Lauren has been working in web design and marketing for over 12 years. She started her career on the in-house web team for MTV where she helped create an online presence for many high profile shows such as Real World, The Osbornes, and Road Rules as well as for special events such as the MTV Video Music Awards. Lauren has worked with a variety of marketing agencies as a Designer on web based campaigns for companies such as Fred Segal and Ferrari. Lauren has been Art Directing for Aquarius Designs since 2007 and she holds a BA in Design from Fairleigh Dickinson University. Dave’s expertise lies in his ability to create, run, and analyze a Search Engine Marketing (SEM) campaigns from start to finish. Dave has managed SEM for small business clients, as well as for large corporations in a variety of industries. David has 18 years experience in online marketing including affiliate marketing and AdWords. David is a Google Partner, Certified in AdWords Search and Mobile Advertising. He has a BA in Media Study from the State University of New York at Buffalo. David lives in Buffalo, New York with his wife, two daughters, one son, two dogs, two cats and a fish. 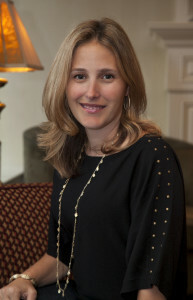 Laurie has been with Aquarius Designs, Inc. since 2010. Laurie has gained her customer service skills working as a Corporate Trainer for Camden County College for over 15 years, teaching Computer Software Applications. Laurie lives in New Jersey with her husband and 2 sons.